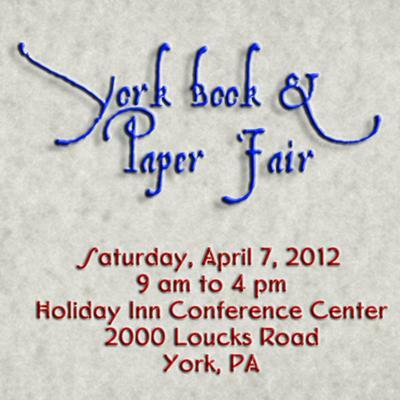 The 57th consecutive YORK BOOK AND PAPER FAIR! The place where dealers and connoisseurs of rare & antiquarian books, postcards, maps, posters, comics, records and related collectibles have come together for a day of appreciation and, perhaps, a bit of haggling. Mark your calendar! Download the coupon! Join the fun! Thank you so much for letting us know about the York Book and Paper Fair in April.